Getting ready for a date can be difficult or fun depending on your outlook. You can stress for hours about the perfect thing to wear, or you can let us help narrow your search! 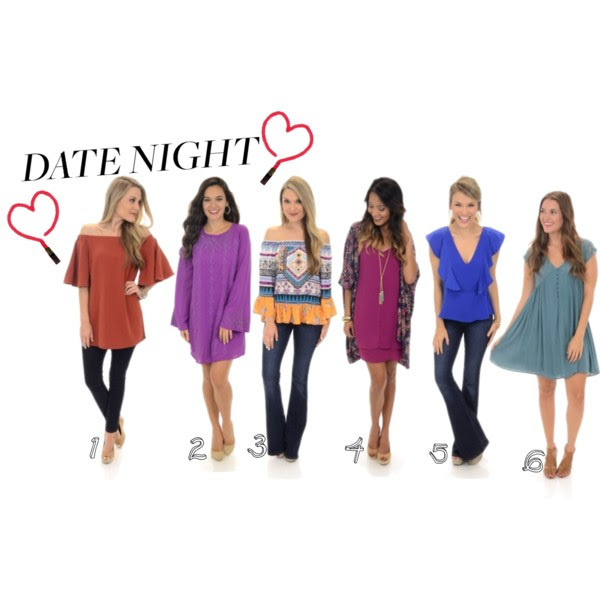 Instead of stressing, we invite you to sit back and enjoy picking out your perfect outfit from some common date categories below. We then strongly recommend you throw on your favorite upbeat playlist (Beyoncé anyone?!) and ENJOY getting ready! Whether it’s a first date or an anniversary, the perfect outfit can help you enter it happy and confident. 1. Classic Dinner Date: This can be anything from early dating territory to a chance to leave the kids behind with a babysitter for a few hours. Wherever you are, the picks below are just what you need! 2.Anniversary or Special Occasion : This is where you go all out! Don’t be afraid to pull out all the stops. We’re certain a wow reaction will ensue. 3. Day Date: This could be as breezy as coffee or a walk in the park. You’ll want to keep it casual for this kind of activity, but that doesn’t mean you can’t still look good!